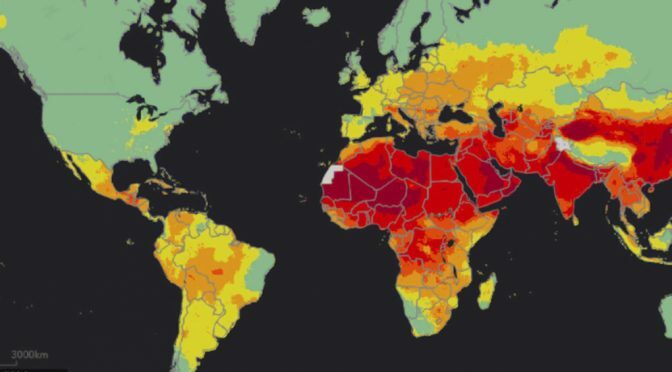 Nearly all of the world’ population is living in places with dangerous air pollution levels, the World Health Organization (WHO) air quality model confirms. While we tend to believe that our cities are safe from pollution, the truth is that 3 million deaths a year result from outdoor air pollution. Indoor air pollution doubles the number, as the data from 2012 shows that indoor and outdoor air pollution was responsible for 6.5 million deaths, making up 11.6% of all global deaths. The model is the most detailed of its kind reported by the WHO based on health data from satellite measurements, air transport models and ground station monitors in 3000 urban and rural locations. Overall, 94% of deaths are due to stroke and heart related diseases, lung cancer and chronic obstructive pulmonary disease. In addition, acute respiratory infections risk increases with air pollution. About 90% of air pollution related deaths are in middle and low income countries with 2 out of 3 occurring in Western Pacific regions and South-East Asia. The main causes for air pollution include household fuel and waste burning, inefficient modes of transport, industrial activities and coal-fired power plants. Not all air pollution is caused by human activity, though, as nature is involved as well, for example, dust storms can affect air quality. “Air pollution continues take a toll on the health of the most vulnerable populations — women, children and the older adults. “Fast action to tackle air pollution can’t come soon enough. Previous PostThe Time Of Year Your Weight Is The LowestNext PostDrink Water: Does It Have To Be 8 Glasses A Day?